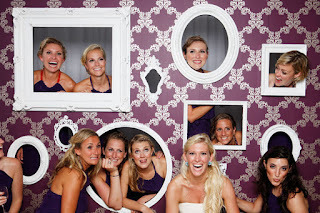 What Louisa Loves: Fun With Frames! 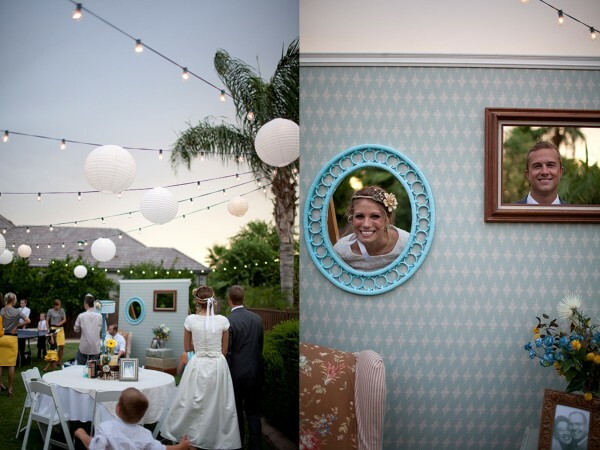 Ever since I saw these pictures, I have wanted a photo wall! How cool and fun would it be for guests to pose in cool frames during the cocktail hour and reception? I am just totally in love with this idea and am feeling a DIY project coming on (don't worry, I'll share)! 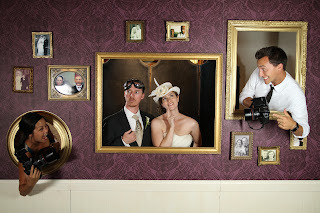 One thing I like about photo walls as opposed to photo booths is that you can customize the wall to match your decor. 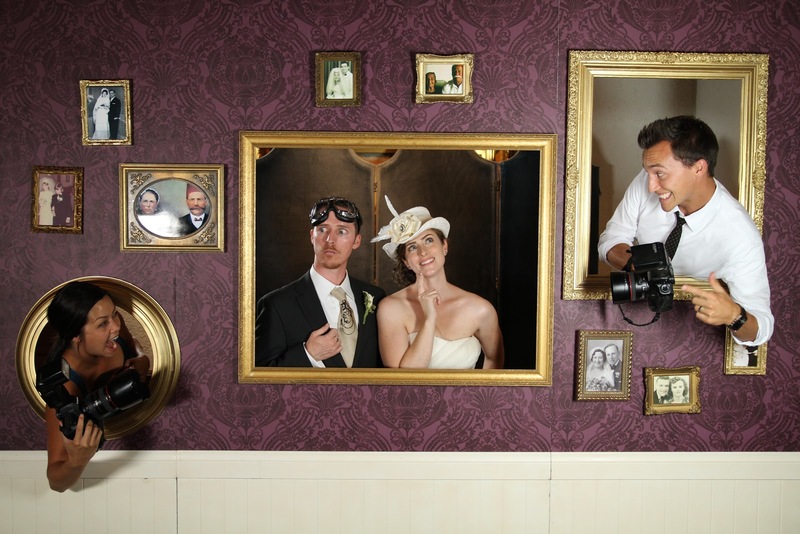 You can even add real family photos around the open frames to incorporate a bit of history to your event! Since we're planning our wedding from afar, Mr. CF and I may need to tackle this project during one of our visits to Atlanta, as this "wall" will not fit in my car! 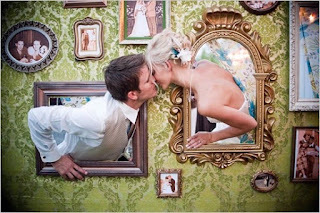 I can't wait to get started on this project by picking up vintage frames and browsing for supplies at Home Depot! My dad was the most wonderful carpenter in the world and I want to successfully complete this project in memory of him! 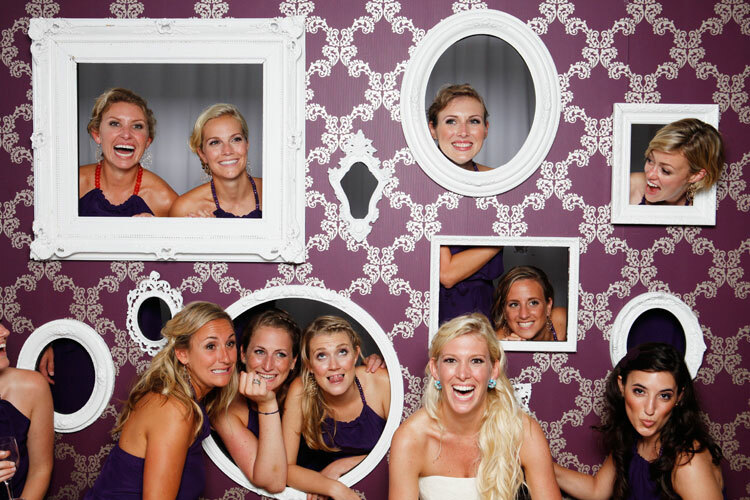 Are you planning a fun activity for guests at your wedding? I love this idea! 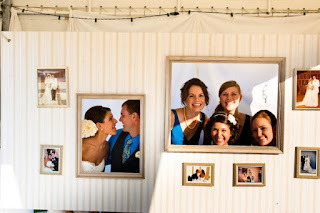 Your pictures will be so awesome and your guests will really enjoy it. what a neat idea!! Looking forward to seeing how it comes together! LOVE this idea Louisa. Let me help you put this together? ?